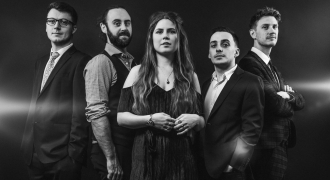 Evelyn And The Vipers is made up of a group of professional musicians who perform extensively at gigs, festivals, weddings, corporate events, birthday parties and private functions in Bristol, Somerset and across the UK. This experience combined with their passion for playing gives you the perfect band for any occasion. We are in close contact with the client in the run up to any event. We make sure we arrive in plenty of time to allow for us to set up and sound check so we are ready for the start time that we've agreed. We are happy to start playing background music through our PA system to start setting the mood for the live music and evening festivities. We are normally asked to start the first set with the first dance, which then moves into getting the rest of the wedding party up on the dance floor! We like to keep our set varied with get up and dance, slow dances and sing a longs mixed in together. However we are happy to tailor our sets to the clients specific needs. We are normally finishing our last set between 11-12ish, however we are happy to negotiate a later finish. We usually play background music through our PA whilst packing down if a DJ isn't lined up to keep the music going. 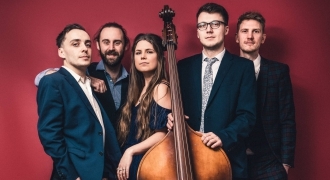 Copyright © 2019 Evelyn And The Vipers. All Rights Reserved.